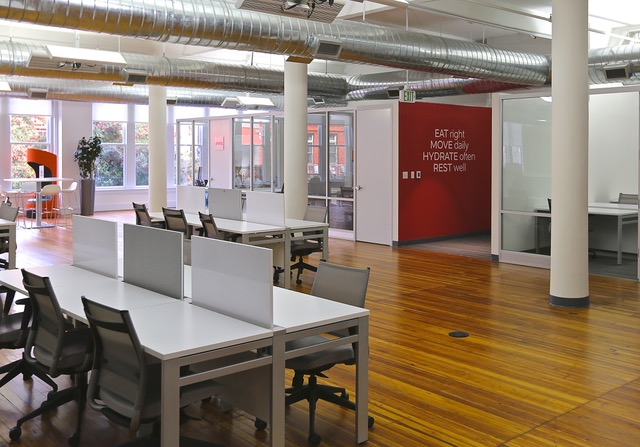 Open desks are available on a daily first come, first serve basis to all levels of membership. 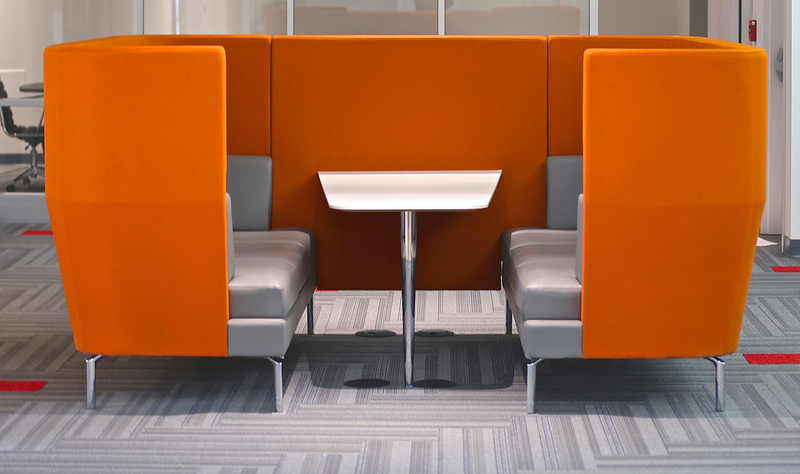 Each features a screen divider for a defined productivity space while still allowing for open collaboration with coworkers. Dedicated desks are reserved for those who want more permanent workstations, working at the same desk everyday, leaving personal belongings there day-to-day. They include a lockable file cabinet. 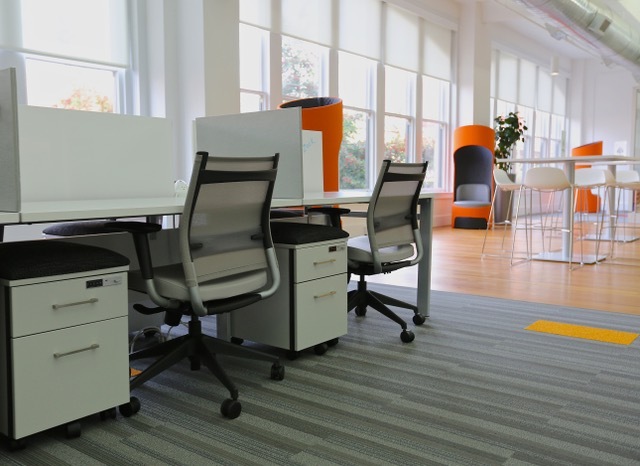 Private offices are fully furnished and available in 3 sizes: singles, doubles and triples. They all have locking doors and include 24/7 access. Flexible, short-term rental agreements available. 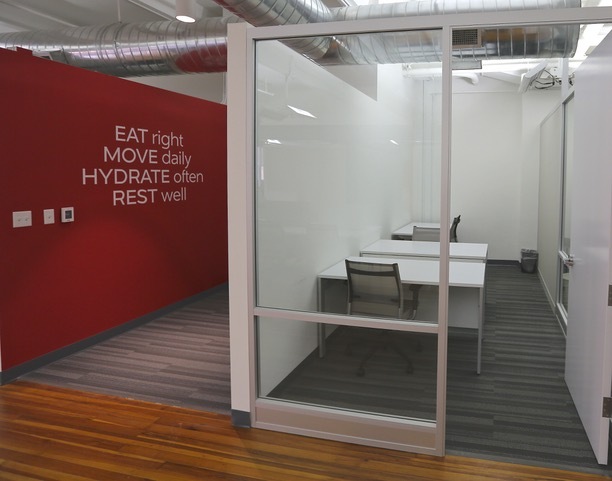 Members have access to 6 meeting rooms of various sizes: (2) Break out/Phone rooms, (1) 6 person conference room (1) 8 person conference room (1) 12 person conference room, and a Large Event/Training Room. Each conference room is equipped with a TV for media presentations and a whiteboard. The @nnex kitchen is the heartbeat of the community where members can connect over coffee or share a meal. It features a large commercial fridge accessible to members, microwave, dishwasher and, of course, a commercial coffee machine. One of the few places in Pensacola with fiber, the @nnex is home to the fastest WIFI in town! For members who wish to leave belongings overnight, we offer standard lockers available to rent by the month. Whether you want to come in and pick up your mail or you are not in town but want to receive mail at a physical Pensacola address, our mail service provides both regular and virtual mail service for those who are not physically in the space.